Click here for the printable study guide. Click here for the Q&A that followed. Click here to see all the amazing speakers from Diamonds 2019. 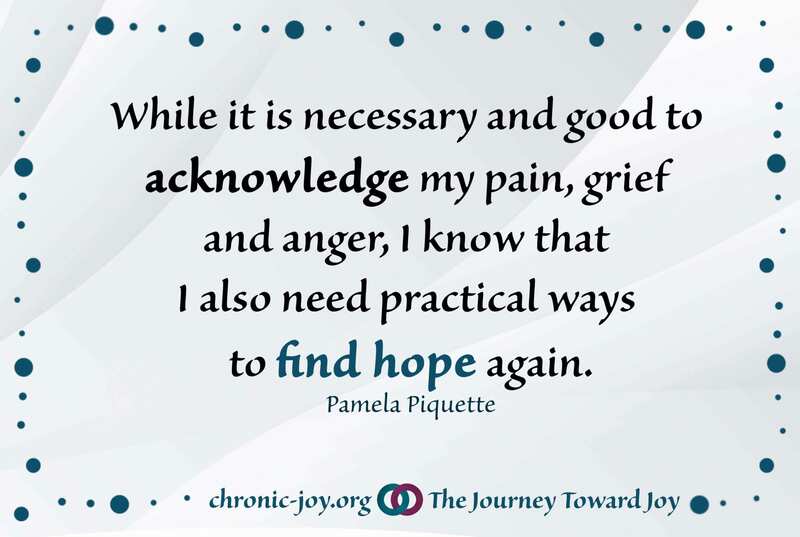 While it’s necessary and good to acknowledge my pain, grief and anger, I know that I also need practical ways to find hope again. It’s liberating to relinquish expectations and begin to envision my purpose and worth from God’s perspective. I was part of the living hope conference [Diamonds 2019] and [Pamela] your sessions were awesome. You have a gift for speaking and I was sad when your session time was up! Thanks for being a blessing. I just wanted to write to say thank you so much for all that you did during the conference [The Living Hope – Diamonds 2019]. I loved listening to you, and found you extremely encouraging. I’ve also just received the book [Discovering Hope] you sent to me, and cannot wait to start reading it. Thank you for all you do at Chronic Joy ministries and I’m blessed to have found you. 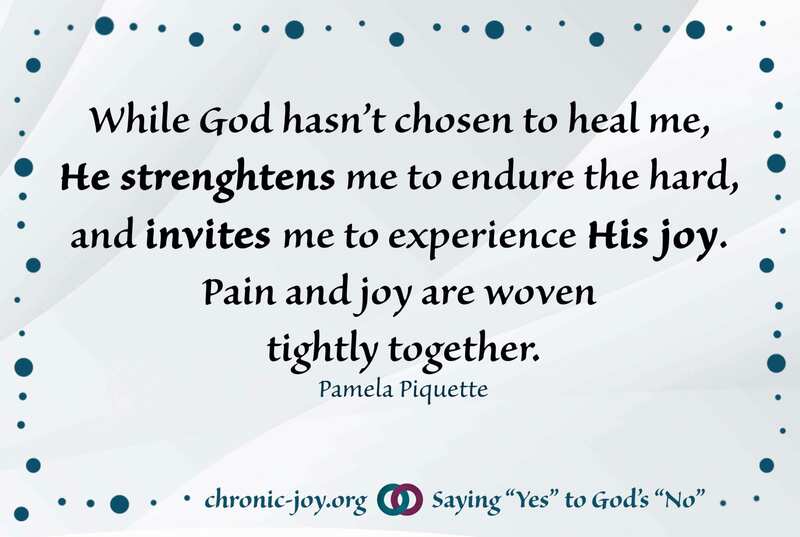 While God hasn’t chosen to heal me, He strengthens me to endure the hard, and invites me to experience His joy. Pain and joy are woven tightly together. 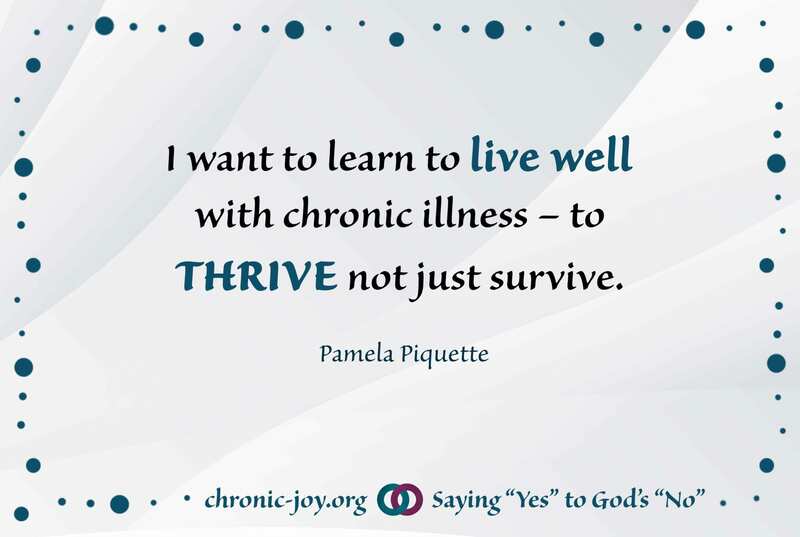 I want to learn to live well with chronic illness – to thrive not just survive. If you have 9 minutes, we have an incredible story for you – a story simultaneously just beginning and decades in the making. An invitation to Discover Hope, Find Purpose, Embrace Worth and Encounter Joy. Find awareness tools, community connection and a wide range of faith-based educational resources. Chronic Joy Ministry’s President and Co-Founder, Pamela Piquette shares at Oakwood Church in April 2018. Approximate length: 40 mins. Pour yourself a cup of coffee and enjoy TBN’s Joy In Our Town interview of Chronic Joy Ministry’s President and Co-Founder, Pamela Piquette.